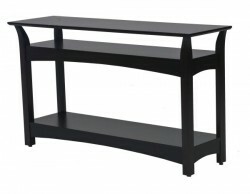 Long, narrow and designed to maximize storage availability while fitting into small spaces, sofa tables—sometimes known as console tables—are found in entryways, living rooms, and bedrooms. 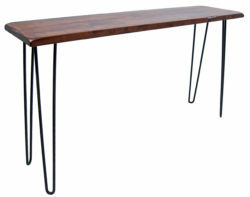 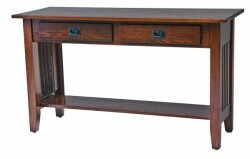 Perfect for displaying photographs, or acting as a convenient spot to collect keys, mail and other everyday essentials, a console table from Amish Originals has a multitude of options available to complement your home décor. 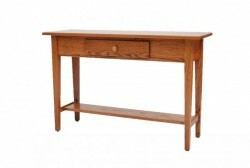 Each sofa table is made-to-order by Ohio’s Amish craftsmen; using time-tested methods and skills honed through generations of expertise, your finished product will be both beautiful and durable. 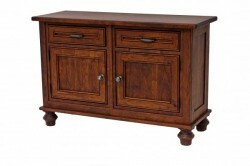 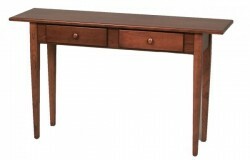 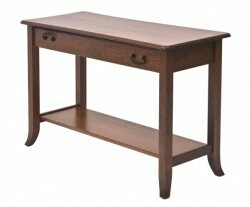 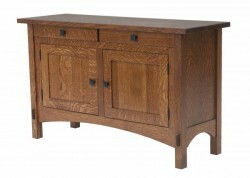 As with all our furniture, customers can select the specific size, stain color, style, and wood species when ordering. 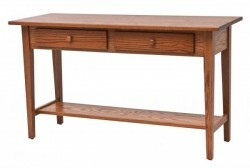 Every table is made from solid American hardwoods like Cherry, Maple, Quarter Sawn White Oak and Red Oak that have been harvested with respect for environmental sustainability. 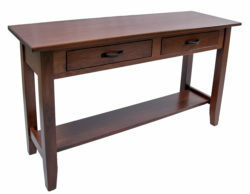 Additionally, our products are finished with a tough conversion varnish that is easy to clean and will protect your console table from the bumps and bruises of everyday life. 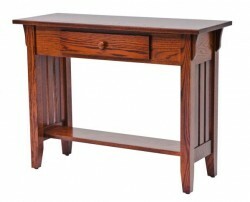 To see the abundant options for accent tables at Amish Originals, call or drop by our expansive showroom in Uptown Westerville, Ohio. 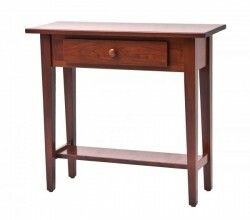 One of our friendly sales and design associates will be happy to help you select a sofa table that will grace your home for years to come.